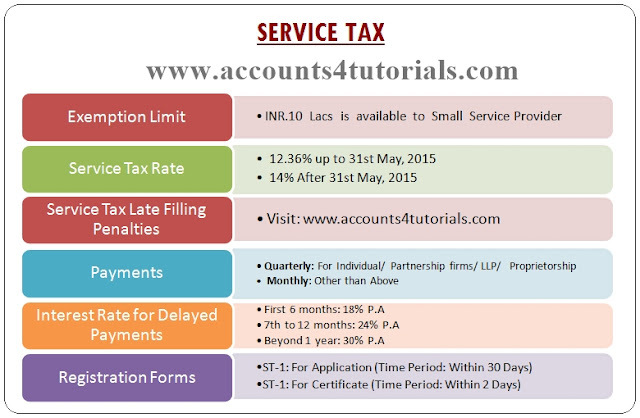 INR.10 lacs is available to small Service Provider. 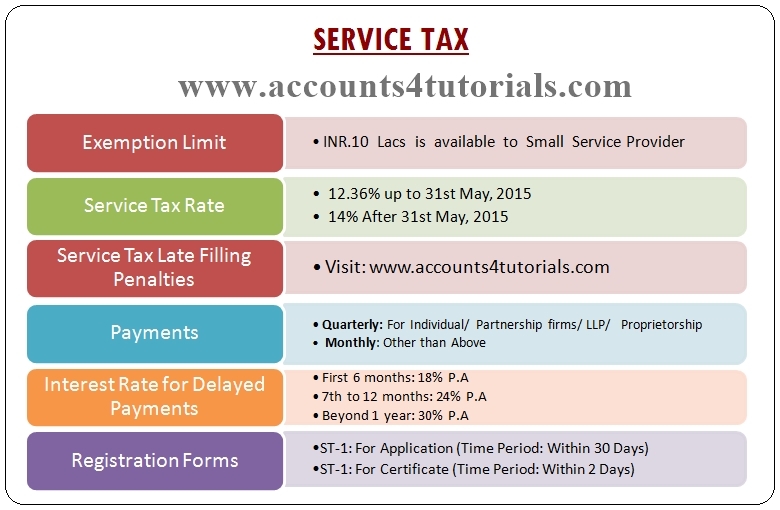 The rate of Service Tax is 12.36% up to 31st May, 2015. The effective rate of service tax will go up by another 2% if and when the Central Government exercises its power to introduce a 'Swachh Bharat Cess' on all or any of the taxable service. All services will now attract service tax except services specified in the Negative List and Exemption Notifications (w.e.f. 01-07-2012). 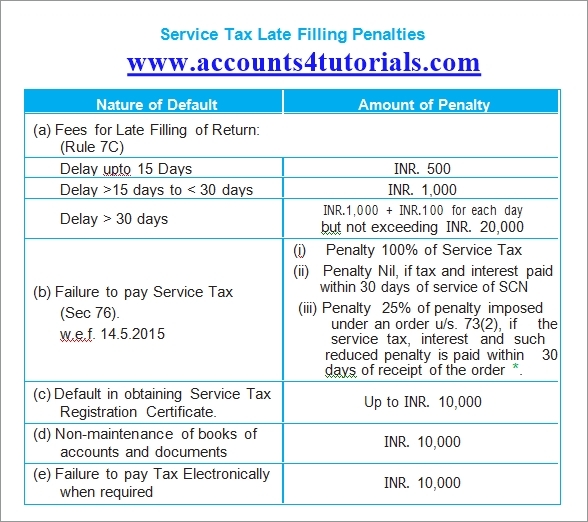 E-Payment of the Service Tax is mandatory for ALL assesses w.e.f. 01-10-2014. E-Payment will be considered valid up to 8:00 pm of the respective day. If the Assistant Commissioner or the deputy commissioner of central excise, as the case may be, having jurisdiction, may for reasons to be recorded in writing, allow the assesses to deposit the ST by any mode other than internet banking.